The requirements and responsibilities of registration for both offenders and law enforcement agencies are defined in Title 46 Chapter 23 Part 5 of the Montana Code Annotated. 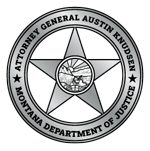 Individuals convicted of one or more of the following offenses are designated as sexual offenders and are required to register with Montana’s Sexual or Violent Offender Registration Unit. Offenders who have been convicted of both a qualifying sexual offense and a qualifying violent offense are listed on the Registry as sexual and violent offenders. Sexually Violent Predators - offenders who have been convicted of a sexual offense and who suffer from a condition that makes them likely to engage in predatory sexual offenses, or offenders 18 years of age or older who have committed an offense against a victim 12 years of age or younger - MCA 46-23-502(11)(a) and (b). Transients - offenders who cannot provide a permanent address - MCA 46-23-502(12). Non-Compliant Registrants - offenders who have failed to keep their registration current as required by Montana law. Information on these registrants is provided as allowed under MCA 44-5-103(13)(f). Non-Compliant/Address Verification Overdue - Offenders who have failed to return the Address Verification Letter within 10 days of receipt - MCA 46-23-504(6)(c). Tier levels are a method of assessment to predict the likelihood that a sexual offender will re-offend. Tier levels also assess the threat that an offender poses to public safety. There is no known way to accurately predict the future behavior of another person. The process of screening individuals in prison places them into risk categories. This does not mean that the Department of Corrections has devised a way to predict future behavior. Rather, it means that a scientific way exists to evaluate an offender’s past behavior by comparing it with other individuals who have been out of prison for a while. This shows how an offender might act once released from prison. Not all offenders with a high score on the risk test will commit another crime. However, they are more likely to commit another crime than an offender with a low score.